 Providing excellence in pediatric, prenatal, fertility and family care. Brookfield chiropractors, Dr. Patrick (Pat) McCann and Dr. Kate McCann of McCann Chiropractic offer our patients the very best in family wellness care. We are a husband-and-wife team and have been in practice since 2008, with a reputation for excellence in prenatal, pediatric and family chiropractic care. We also offer wellness workshops to the entire community. We provide whole family care, from newborns to great-grandparents. We feature techniques that are safe, gentle and effective, and partner with you in choosing the right path to wellness. We work as a team, and make sure that every practice member feels loved and supported in their journey to creating improved health. We care for your entire family.  As a family wellness practice we offer proactive pediatric chiropractic care as well as prenatal chiropractic care. Wondering if chiropractic is safe for pregnant women and children? Children and pregnancy women are adjusted differently than the average adult. We use special low-force adjusting techniques, which deliver very precise but gentle correction to the spine. Each adjustment is specifically tailored to the individual, making chiropractic extremely safe for all ages. During pregnancy it’s all about a healthy mom and healthy baby. Adjustments during pregnancy can address issues such as back pain, heart burn, constipation and fatigue among others. Chiropractic during pregnancy helps to create an optimal environment for baby, which provides your baby optimal circumstances in which to grow and be healthy. Our practice also features unique evaluation tools to help you get to the real cause of your problem. We use the non-invasive Subluxation Station to objectively evaluate patterns of spinal and nervous system function and it is completely painless. This state-of-the-art examination system guarantees that you’ll understand where you are in your health today, so that you can decide where you want to be tomorrow.  Call us today at (262) 782-9700; we’d love to have you as part of our chiropractic family! Caring/Empathy – by truly listening to you and letting you know you are heard. We are here for you. Certainty – you have made the right choice by choosing us because of our expertise, technology, knowledge and experience. Commitment – it’s about you and understanding your concerns, fears, goals and showing you what is possible. We are committed to you and your health for as long as you want to be a part of it. We are constantly improving to give you the best care and customer service. We are going to McCann Chiropractic for ear infections. I was very impressed with Dr. Pat McCann at our first appointment for my daughter and am excited to see how the rest of our journey unfolds! Added bonus, the night of our first appointment she slept through the night and she hadn’t done that in weeks!!! I was very pleased with all my appointments. You were very friendly and put me at ease. Thank you very much! Wonderful experience – everyone was smiling and very welcoming! Quick and easy!!! Huge fan. You also tolerate my crazy kids. Great first visit and I look forward to future visits!  Dr. Pat is very knowledgeable and makes it easy to understand what is going on with your back. I would highly recommend him to anyone. Everyone in the office was incredible! Thanks Dr. Kate! We are very hopeful that you can put Alexa on the path to recovery!